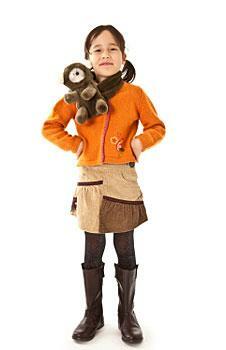 Finding the right preteens skirt is a cinch if you know where to look. It can be hard at times to find the perfect preteens skirt. There are a lot of clothes available on the market for teens and women, but it's more difficult to find skirts that fit the needs of preteens. You want to look fashionable, but at the same time, age appropriate. Gathered below are some great shops that offer skirts made with you in mind. The Gap is a great place to start your search. 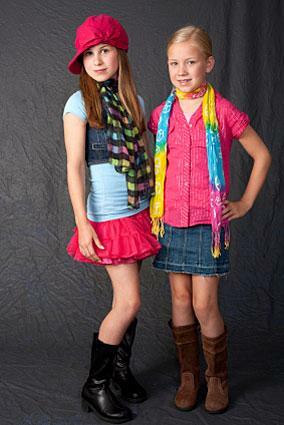 The clothes are affordable, stylish, and most importantly, suitable for preteen girls. Here's a closer look. This tiered skirt comes in three hot colors, pool- a gradually layered blue, pink rose bloom, and jasmine, a violet concoction of prettiness. With its drawstring waistband, and gradual layer of colors, this skirt is an absolute steal at just $36.50. Available in two colors, soil brown and light sangria, and this flared skirt features a charming braided belt detail. Even though it's done in a flared cut, the braided belt itself gives way to a flattering A-line shape. Expect to pay $19.50 for this skirt. This skirt features a drawstring waist in the alluring colors of Caribbean Palm, a luscious dark green, lapis, a teal blue, and jasmine, a jaunty violet. The amazing thing about this skirt is its beaded bottom. At $24.99, you'll love it. Multiple shirred tiers compliment this full A-line silhouette. It comes in one color, Impatient, a pink to red color, and features delightful embroidery that's sure to please. You can expect to pay about $39.50 for this skirt. With a fold over waistband, this skirt is too cute for words. It's also done in the three-tiered style and is available in Caribbean palm and spring coral. You will live in these beautiful summer skirts. Expect to pay about $16.50 for one. This is another drawstring skirt, but done with only two tiers. Available colors include chrome blue and soil brown, and note that both are prints. You can expect to pay $29.50 for this skirt. Denim always looks great, no matter the season and you will shine in this sequined denim mini skirt! It features an adjustable waist, five-pocket styling and sequin and beaded detail around the bottom hemline. This skirt is available for $29.50. The second of the denim mini skirts, this mini skirt is belted with a detachable striped belt. What's really cool about this skirt is that it's really skort, with the shorts sewn right in. You can purchase this attractive look for just $24.50. This skirt is perfect for school or religious functions. It's made of high quality hand-woven cotton, and features an adjustable waist with pleats at the sides. Available in two colors, basic navy and stone, a light cream color, you can expect to pay $24.50 for this skirt. Two colors or versions of this skirt are available. One is soil brown, a dark brown that features pink butterflies and the other, what the Gap calls Autumn Rose. Autumn Rose is an electric pink that features the butterflies in brown. This is a beautiful and romantic looking skirt. You can grab this look for $36.50. Best of all is the affordable price of just $9.50. With prices like these you may be able to buy them all! This preteens skirt is similar to the one mentioned above, but it's in a Cargo cut and features a drawstring waist. Available in three colors, khaki, brown earth and salt, you can buy these skorts for just $14.50. There are a ton of skirts available for preteens, so get out there and start shopping!